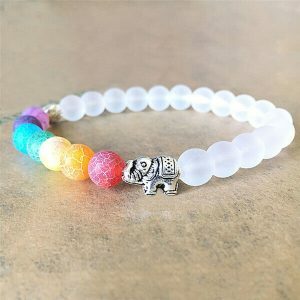 Feel the energy of your chakras as this Natural Chakra Paw Design Bracelet helps restore balance and its a sweet totem of your fur babies while wearing it anywhere you go. 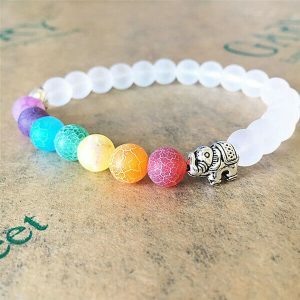 Designed to balance the seven chakras, this handcrafted Chakra bracelet brings harmony and balance to the body and spirit. 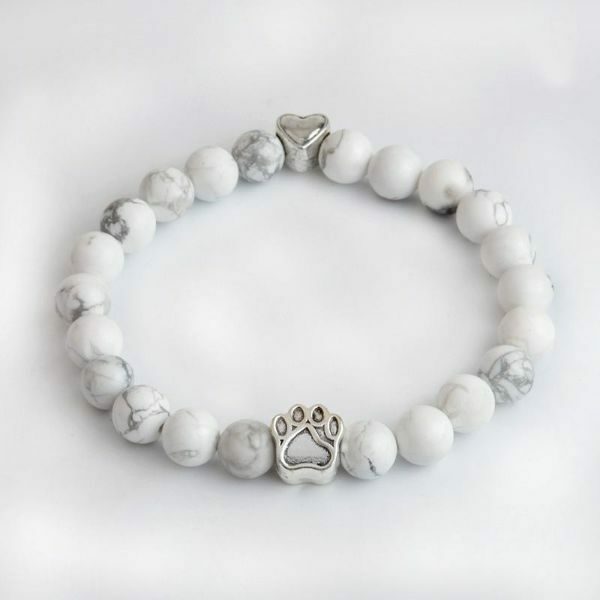 This Natural White Turquoise Chakra Bracelet for Pet Lover’s mala stretch bracelet promotes healing and vitality, providing comfort for the spirit and well-being for the body. 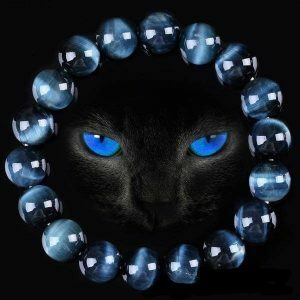 It is a protective stone, keeps the spirit attuned, and enhances communication with the physical and spiritual worlds. It is also a purification stone dispelling negative energy and clears electromagnetic smog. 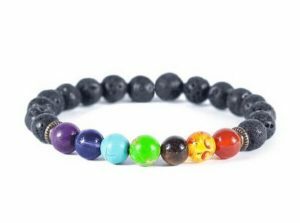 These semi-precious stone beads are hand selected piece by piece to ensure a high quality piece of jewelry. 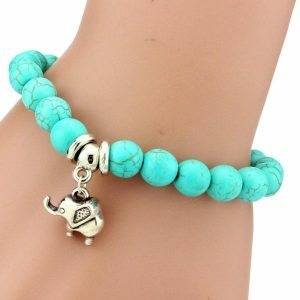 They are polished smooth and handmade by our skilled jewellers and the stretch cord makes it neat and easy to wear. 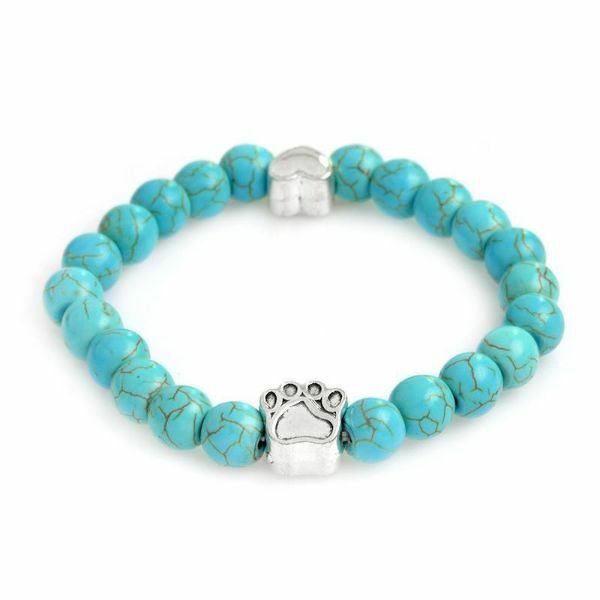 Adorned with a lovely heart charm and an adorable paw charm, it’s a bracelet that all Fur Parents will love.